Al Rayyan Doha (D1) landed experienced 34-year old American swingman Akeem Wright (200-98kg-84, college: Kansas State, agency: Octagon Europe). He played in the summer at Columbian Dyip in Filipino PBA league. Wright managed to play in three leagues in two countries last year (!!!). 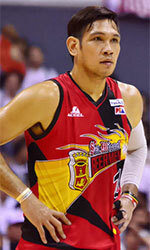 In 11 PBA games he averaged impressive 22.6ppg, 11.9rpg, 5.7apg, 1.4spg and 1.0bpg. 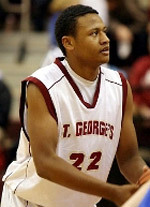 The last season he played at BC Siauliai (LKL) in league where in 30 games he had 9.6ppg, 3.6rpg, 2.2apg and 1.1spg. Wright also played 12 games in Baltic League where he recorded 10.7ppg, 4.6rpg and 2.4apg. He helped them to make it to the semifinals. Among other achievements Wright received Australiabasket.com New Zealand NBL All-Imports Team award back in 2012. He is a very experienced player. And here thanks to pro basketball Wright experienced life in eleven different countries playing on three different continents. He is familiar with European, Australian and of course North American leagues. Wright has played previously professionally in Argentina, Canada (Halifax Rainmen, The Storm and London Lightning), Cyprus (Apoel), Finland (Tampereen Pyrinto), Israel (Maccabi Kiryat Gat and Elitzur Ramla), Jordan, Saudi Arabia, Spain (Carramimbre), Sweden (Sundsvall), Ukraine (DniproAzot) and New Zealand (Pistons and Nuggets). It may be one of last seasons in his extensive career, which he may end at Al Rayyan. Wright attended previously one of camps at Eurobasket Summer League on he way to pro basketball. He attended Kansas State until 2007 and it will be his twelfth (!!!) season in pro basketball.